In a UK government survey, the contents of 74% of lunch boxes for children were below the nutritional standards set for school meals. Anyone who works in a school or nursery sees children who bring in a jam sandwich on white bread, a packet of crisps and a bar of chocolate for lunch. Packed with salt, fat, sugar, no veg, no protein, no fruit – a disaster. There is no guideline for the amount of sugar, which is found in carbohydrate, starchy foods, as well as in fruit and vegetables. Added sugar, which causes tooth rot, is high in juice drinks, fizzy drinks and many processed foods. 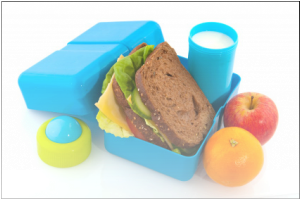 It can be hard to think of something appetising that’s also healthy, We hope these suggestions help you pack healthy lunch boxes for children. These documents are supplied as PDF files.